If you are running Act! with a 3rd party reporting tool like TopLine Dash , Crystal Clear Essentials or Durkin ImpactSuite; then, you may run into a problem with this field missing from the field selector. The problem is the in OLDEB provider. The OLDEB provider is a bridge for Act! report writers to see the tables and relationships in Act!. For reasons unknown, when Act! is upgraded from v15+, the OLEDB provider doesn't add this field to the provider. The solution is to download this fix and run it on the server that hosts Act!, and you must have full administrator rights to install this patch. Restart your reporting application, and you should see this work. Put your Act! database on the map with Microsoft Power BI. With Act!, you can get one contact at a time into a Google map, but what if you wanted to get all contacts on a map without buying a dedicated mapping program? I found Microsoft Power BI to do this. In just two clicks I can find customers by state with a map. There are plenty of other ways to visualize Act! data, and we can even join it with data from Quickbooks and Excel workbooks at the same time. 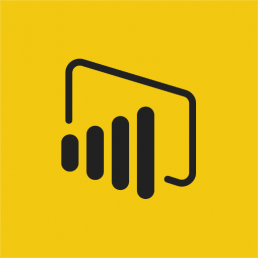 With Power BI, you can stay on screen to get the answers you need. Contact us if you want this setup at your office. If you have reps in the field, and they synchronize the database, you don't have to ask them whether they have synchronized recently. Just click on the Act! dashboard first from your main (aka publisher) database. 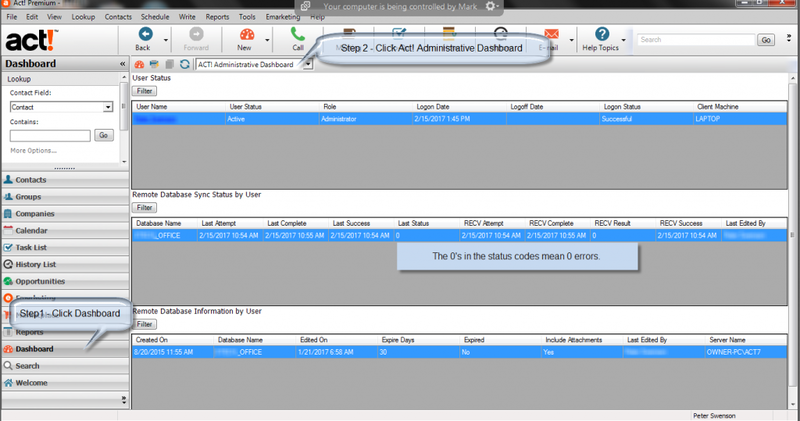 If the rep hasn't synchronized recently, they can go to Tools-> Synchronize Panel -> Synchronize Now in Act! then synchronize the data. If you have trouble implementing this or troubleshooting errors, we can help. MondoCRM has been working with Act! synchronization since 1998. Create a dynamic group in Act! and create the lookup. If step 2 is too tedious, use this app to save time. It saves customized versions of the contact list view so you don't have to rebuild this every time you come back to it. On 11/5/2016, I attended a webinar with my peers in the CRM industry. by Ron Baker of the VeraSage Institue. My peers in the CRM industry wanted to learn how to make our practices better, so he suggested we measure our own KPI by looking at it from our clients' perspective not just ours. For example, instead of measuring how many tech support cases we had to offer at no charge, we should measure our success rate of solving it within 30 minutes. Check out this indepth article, citing the airlines industry.